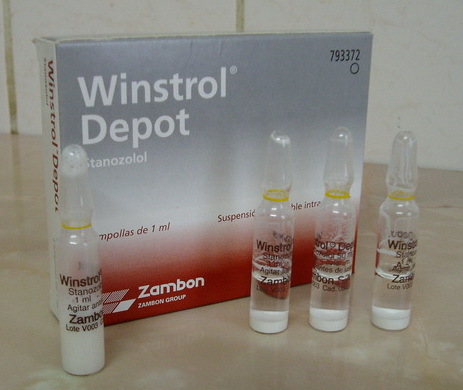 Winstrol, brand name for stanozolol is one of the most popular steroids. It is a derivative of dihydrotestosterone, much milder in effect except for the androgenic side effects associated with it. It is shown to exhibit a great tendency to produce muscle growth with a milder effect than Dianabol, however as said before the water retention and the androgenic effects are not a concern. It is not capable of converting into estrogen so any sensitive individuals this drug is a great way to go since gyno is no problem. The typical side effects can include nausea, acne, excitation or increased aggressiveness, chills, hypertension, increase in libido. Since estrogen is the culprit of producing water retention this steroid is capable of producing lean, quality look to the physique with no fear of excess poundage except for muscle growth. This is why it makes this a favorable drug for precontest or to gain a ripped look especially if stacked with a non-aromatizing or milder aromatizing drugs such as Halotestin, Primobolan Depot, Deca Durabolin or Equipose. For men is 25-150 mg every or every other day, for women 20-50 mg every or every other day, length of use should be kept to 5 -12 weeks. 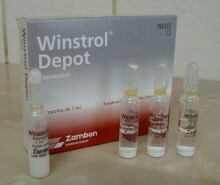 Click the button below to add the Winstrol Depot (Stanozolol) 50mg1ml by desma / Amp to your wish list.